1 jacket : silk ; 37.5 x 23.5 (center back) in., sleeves 22 x 12.25 in., collar 2.125 in. 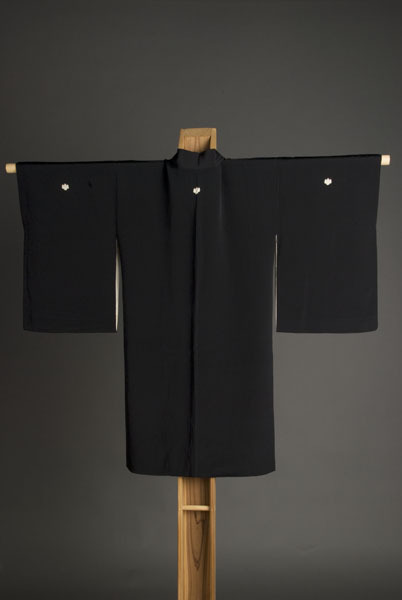 Black chirimen (crepe silk) haori (kimono-style jacket) with gosan no kiri (paulownia) mon on center back and back of both sleeves. Lined with cream silk on upper half of jacket and sleeve interior. 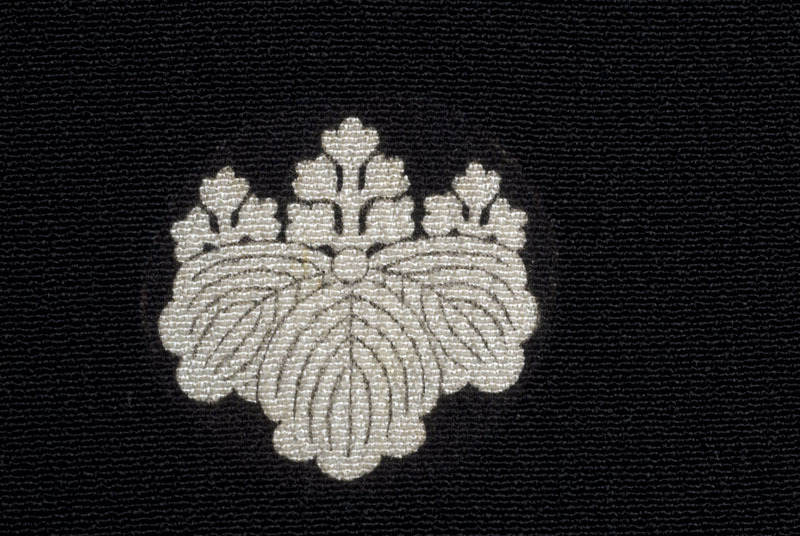 Running stitches in white thread along front hemline. Secured with silver double chain closure with charm in the center front. 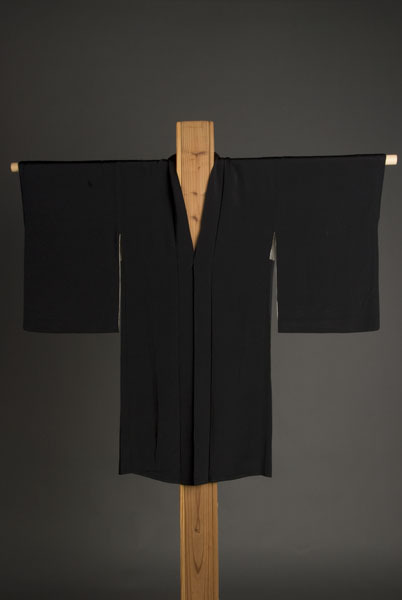 Longer length worn for funerals.